Gather round my hearth ye gentle folk and come play Splinter Cell: Blacklist with me. Except for you Nintendo Wii U owners, if you want the game to be released on the same day on the Wii U as on the Playstation 3 and Xbox 360, you are going to have to forgo the 2 player local co-op. NL: On Wii U, is offline co-operative play supported? If so, which controllers can be used? LJ: In order to ship at the same time as the other consoles, we unfortunately weren’t able to delve into this feature. But we think Nintendo gamers will be really excited to get the game at the same time as other consoles. Normally, it is the other way round with online being sacrificed, but never underestimate the peculiarities of co-op on Nintendo's machine. NL: The co-op element promises to be “blurred” with the single player campaign, can you tell us more about how the two modes interact? LJ: The co-op missions are complimentary to the single player campaign. The player can complete them in whichever order they choose. As well, through the SMI (strategic mission interface) the player can seamlessly join co-op sessions even if they are in the middle of their single player campaign. As well, they can join their friends online in Spies Vs. Mercs and see what their friends are playing by viewing the world map. NL: Is completing the co-op content important to the single player experience, or is it an optional extra? LJ: Co-op is optional and the missions compliment the storyline of the single player campaign. 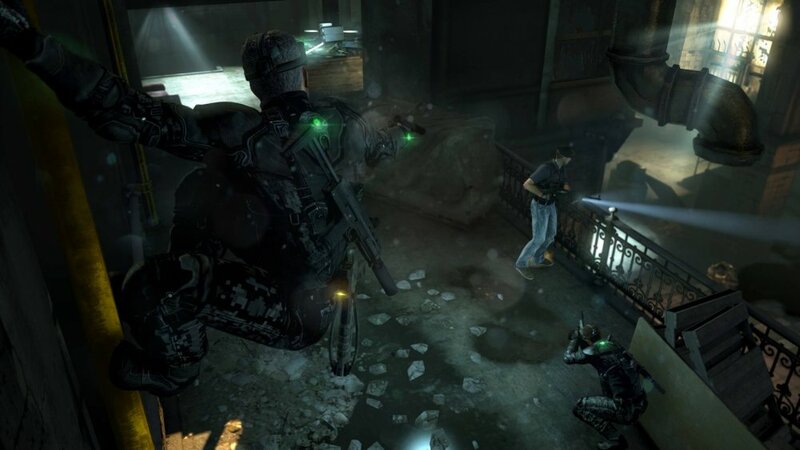 It is important to note, however, that almost all of the co-op missions can be played by a single player if they choose to do so. The gameplay will be different, as we have a number of co-op specific moves that can’t be completed when you’re by yourself, and we’re really proud of the level of variety offered through our co-op missions. The ability to jump into a co-op game at any time sounds intriguing, but for the juice you will have to wait for the games release on 20th August and the full Co-Optimus review that will soon follow.